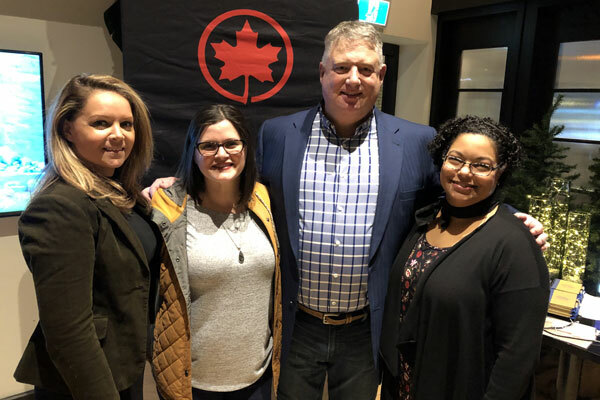 Air Canada’s Simona Cercel, tourism and sales development manager, took advantage of a Tuesday night Travel Oregon event in Toronto to announce that it is nearly doubling capacity on flights from Toronto to Portland this spring. The carrier is enhancing its daily Toronto service, from May 24 to Oct. 25, by moving from 97-seat Embraer 90 aircraft to Rouge service, aboard an Airbus A319, seating 136 (including 12 Premium Rouge). Air Canada also offers flights to Oregon from Calgary and Vancouver. Oregon’s current tourism campaign is dubbed “Only Slightly Exaggerated” and showcases the state’s diverse range of attractions, including its extensive wine region, outdoor adventures – including Crater Lake National Park – and health and wellness. The gateway to Oregon is Portland, known for its quirkiness and unofficial slogan of “Keep Portland Weird.” Wheatley noted that Portland is a great walking city, famous for its funky neighbourhoods and food and coffee scene. The Oregon road show continued with events in Calgary and Vancouver. Pictured at the Toronto event are (l-r) Cercel, Wheatley, Brad Niva of Travel Southern Oregon and Sylke Neal-Finnegan of Oregon’s Tualatin Valley.